As a writer, I spend a lot of time writing. Flabbergasting, I know. Some days, ideas and words flow easily. Those are great days. Other days, I hit the delete key so often it’s a wonder I haven’t made a hole clear through the computer. And the kitchen table underneath it. And the floor underneath that. Those days are less great. 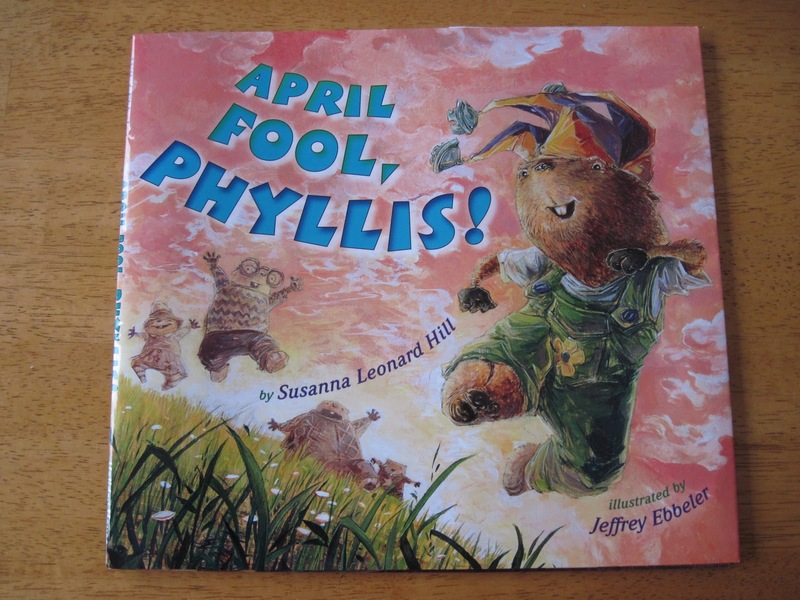 F&G of April Fool, Phyllis! I cannot wait to hold the first bound copy in my hot little hands! Maybe it sounds silly to be so excited, but I am still at the stage where every new book is a source of pride and delight. Truth be told, I think I will always be at that stage. There may be writers out there like Jane Yolen who have written and sold over a hundred books who have a more ho-hum approach and can take their success for granted, but if I am lucky enough to publish a hundred books, I will be just as thrilled by the hundredth as I was by the first, and I don’t think I’ll ever take anything for granted! April Fool, Phyllis! is due out February 21, 2011, so I really should get to see the finished product soon. I will be sure to share it with you when I do. Jeff Ebbeler has once again done a fantastic job with the art. The colors are beautiful, the details imaginative, the characters’ expressions just right. I can’t wait for you to see it! 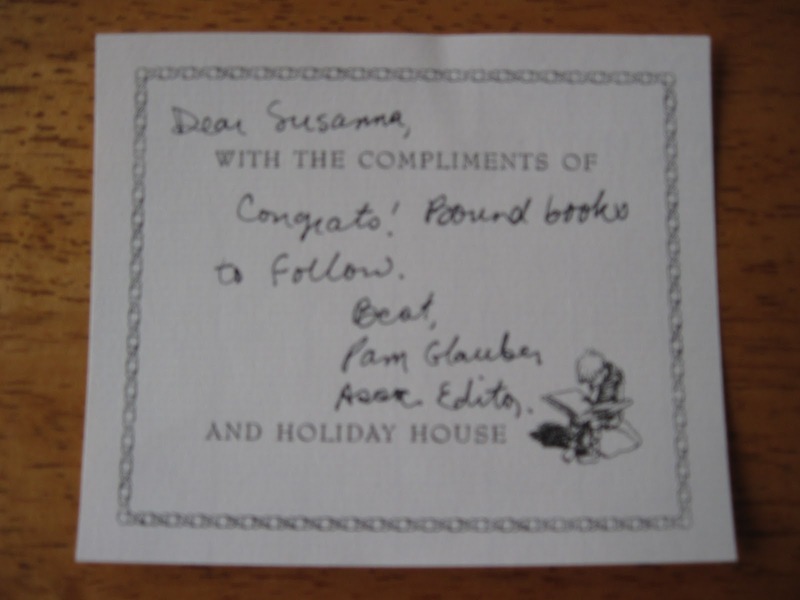 I am very likely to think up a contest with an advance copy as a prize, so stay tuned if you’re interested! Now, I should probably get to work on the book trailer, because no matter how many opportunities I give it to create itself, nothing seems to be happening. So off I go!